Singapore Blinds & Curtains: Is Roller Blinds Suitable For Office? Is Roller Blinds Suitable For Office? Roller blinds in Singapore offices play both the roles of creating privacy and protecting the people inside from sun rays especially in the hot months of April and May. This means that an office using these blinds is provided with the necessary privacy and hence the people inside can work and hold meeting without attracting attention of other people on the outside. It also means that office users are protected from the distracting and irritating sun rays which usually penetrate through the office windows. This is mainly in offices in storied building which are common in the sixty three islands that make up Singapore. As a result the office users are able to work in conducive and serene atmospheres. An office on any of the Singapore islands is also prone to dust especially during the hot seasons when there is plenty of dust. This dust usually causes discomfort, can cause ailments and also make the offices become dirty. One of the primary channels through which the dust enters the offices is the windows with regular curtains since such curtains are unable to hold or stop the dust. But the offices that use roller blinds are able to minimize the amount of dust that enters the offices and hence reduce the negative effects caused by the dust. Rollers blinds are also suitable for offices in Singapore because just like most of the other counties in Asia especially Southeastern Asia, most of the Singapore offices are decollated in unique and attractive colors. This means that these offices require even what is used on the window to match or compliment the coloring of the offices. This makes the blinds ideal since they are available in different colors and materials which an office can choose the color that matches or compliment its colors. As a result the offices usually looks neat and organized when the colors on the wall, ceiling, floor and window blinds matches or compliments each other. The suitability of roller blinds in Singapore offices is enhanced further by the fact that some of the offices usually do not have excessive space and hence requires facilities that occupy minimal space. This means that such offices would prefer all the facilities inside the offices to occupy as little space as possible so as to leave room for people to work and move on. This make the blinds ideal for such offices because one of their outstanding characteristics is that they occupy minimal spaces unlike other components used on the windows and ends up occupying large spaces. Hence a person with a small office which does not have a lot of space should opt for these blinds. Roller blinds are suitable for Singapore offices because they are designed into a variety of styles some of which creates elegance. This is paramount especially for offices that require creating an impression on the clients who enters the particular office. Such customers will always feel comfortable and see the office as occupied by serious and committed people when they see the blinds being used. This means that the blinds send a message to the clients who sees them and hence can influence them to do business with the company that operates the particular office. Hence, it is evident that roller blinds are suitable for offices in Singapore because of the mentioned reasons. Thanks. 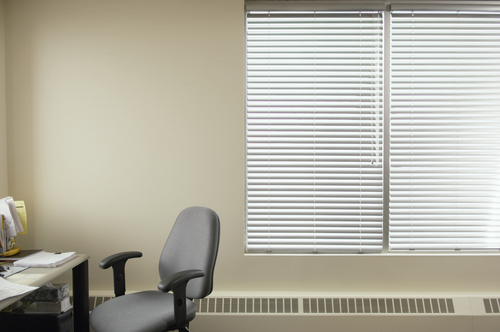 Nice information to know about the best blind for your office. To know more about roller blinds auckland then visit Urban Blinds.